I’ve been out using my Deeper ™ sonar this week. “Real anglers don’t need it, it’s just cheating!” I hear you say? Really? It’s certainly got a place in my fishing, and here’s why. I’m time limited, I don’t get to camp out for days at a time, watching the water, or studying Facebook to see who is on the same lake and catching so I can poach their swim, nor do I fish the same water every time I go out. 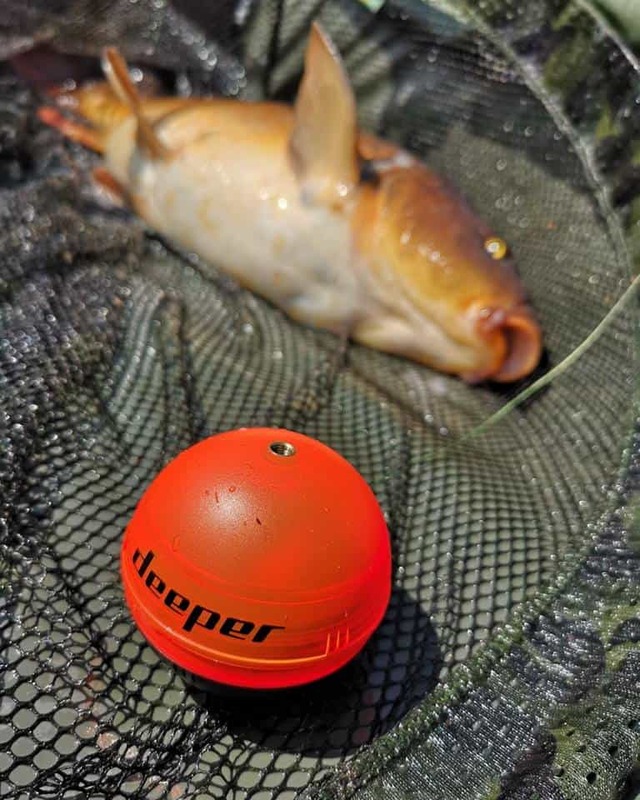 I hate the thought of thrashing the water to a foam with a marker float and lead, and more’s the point, I don’t have hours to do it either, preferring a quick chuck about with Deeper™ to find exactly what I’m fishing over, and then let the swim settle. 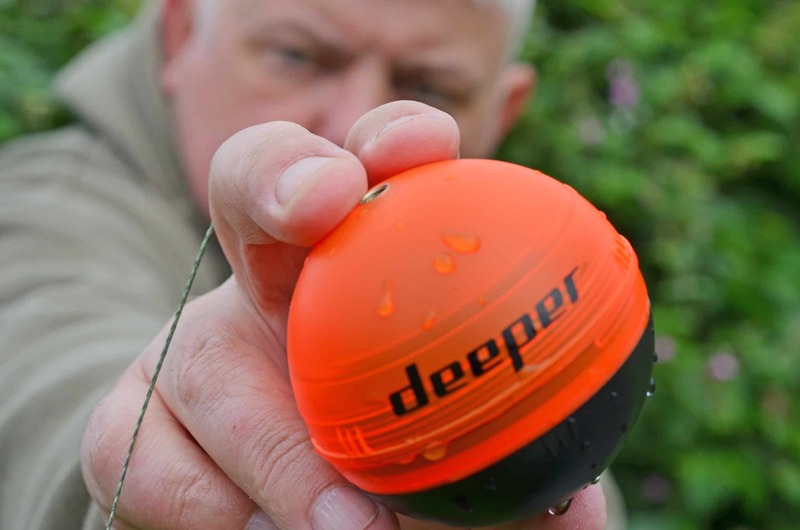 Ten minutes with a Deeper™ rather than hours with a lead and marker, can save valuable fishing time, so I’m all for it, especially when I’m on a job for a client! Don’t take it the wrong way though, I’m not saying I’m right and you’re wrong, (angling shouldn’t be like that) I’m just saying that I’ve got another tool in the box when it comes to a tough session, and if you haven’t used one yet, then you may be pleasantly surprised when you do. I get that it might not be your cup of tea, and I fully respect that, but if you’re ‘on the fence’, then maybe I can sway your thoughts… Technology needn’t take the fun out of fishing; we all (the vast majority) use bite alarms at some point during our fishing, some use bait boats, underwater cameras, others use drones, and my point is, that things move on, technology and advancement can help us get more enjoyment from our fishing, and like you, I go fishing to catch fish, not try and appear ‘carpy’ by spending hours sitting by the lake catching nothing whilst telling all on social media that “…it’s a proper tough nut”. Well, make it easier then! 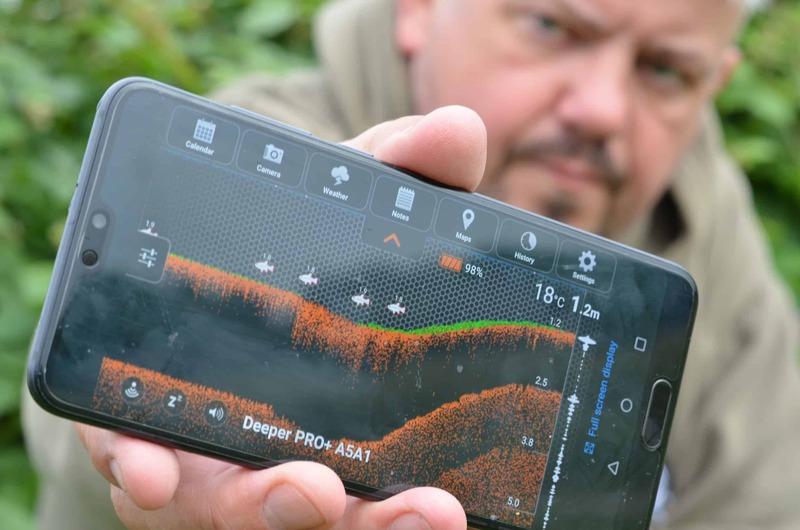 No-one likes blanking, admittedly some can use it as a learning experience, but a pound to a penny, most anglers would much rather catch something, and Deeper™ can make all the difference on those really tricky sessions. It’s not bias, it’s fact, and I really believe that…Although I use it predominantly to feature find, on occasions, when times are tough, I’ll use it to locate fish too, and recently, I had cause to do just that. This week. I’ve been back on the banks at a local club water, one which I would describe as ‘fish soup’ and one I return to when I need images for whichever client needs them at short notice… it’s a ‘banker’ water! On arriving at the car park, I found one of the bailiffs, Mick, unloading his car too. I like Mick, he’s a good chap, with a finger on the pulse at the fishery, and when he told me that it had been “…fishing c**p” then I knew I was on for a long day... We both left the car park together, walking down the path and watching the water; nothing showed. Normally, it’s like a jacuzzi, especially early in the morning, but not today, not a thing! Both perplexed, we settled into swims a few yards apart, and tackled up. After an early hit, things went quiet in my swim too, with only odd fish slipping up over the next few hours. Normally, I expect a fish (or at least a run) every thirty minutes or so, with the culprit usually a carp of between 10-20lb, but for some reason, it just wasn’t happening. Mick walked back towards me, crestfallen as he explained that he hadn’t had a bite, never mind a fish, and he was going home. Another angler took his place nearby, and I watched as he scored with a quick hit of five fish, then his swim too went very quiet. Where were all the fish? It’s usual to catch close in during the early part of the day, with fish moving out into deeper water as the hours progressed, before returning to mop up match anglers cast off bait in the margins at around 4pm. I’d followed that pattern, chasing the chunks into open water at range, but aside from losing two fish, I hadn’t caught any more. Time for action! The water level was down considerably, and the wind was coming from the north which is not ideal on this lake, but it didn’t usually have such an adverse effect on the inhabitants. The other angler wandered over to me to say that he too was struggling in his usual spots, so we both watched the screen as the sonar was slowly retrieved (every angler is interested!) and we watched the lake bed begin to climb up as the Deeper™ passed over the marginal shelf, and there they were! A series of fish icons pinged into view as we noted the fish stacked up along the base of the shelf, and it became apparent that for some reason, whether shadow, water temperature, or undertow, they were hovering close in, not at range as expected! One or two casts with the device, and the secret was revealed! Changing tactics, we both caught fish almost immediately. Careful feeding kept fish in the swim, and by the end of the day, I’d picked off more than a dozen carp, almost all in double figures, to post a respectable tally, whilst my compatriot had equalled my score, and added a bonus barbel too. Did the Deeper™ make a difference? Of course it did, we found fish within a minute, and dropped baits on them immediately to resume catching. One thing that Deeper™ can’t do is make the fish take the bait; that bit is still down to you, but if you can’t find them, then you can’t catch them can you?